A new Fortnite: Battle Royale tournament will take place online this weekend with a prize pool of $100,000, Epic Games announced today. Called the Blackheart Cup, it’s supposed to work in a similar way to last week’s Scallywag Duos Cup. Fortnite players in all countries and platforms will be able to qualify for the event through The Gauntlet Test Events, if they are eligible. Players who finished in the top three percent players in any previous session of these test events will qualify. 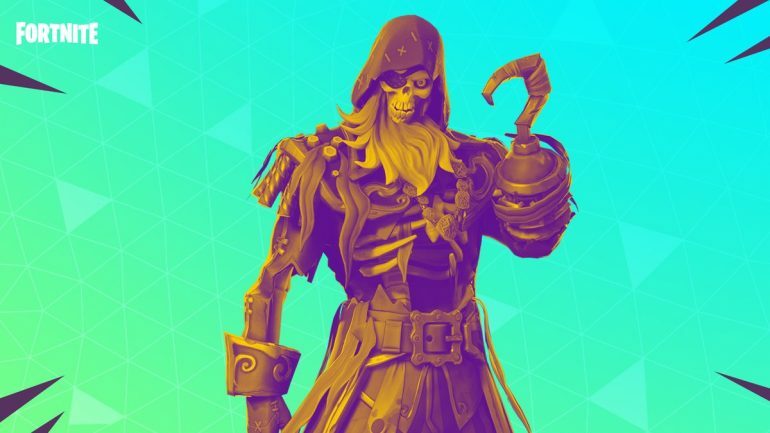 This should also include Gauntlet Test Events prior to the announcement of this new tournament, which means players who qualified for the Scallywag Duos Cup might already have a guaranteed spot in Blackheart Duos Cup. Players will get extended Gauntlet Test Event sessions running this week 24 hours a day until the Blackheart Cup starts. After its matches start, there will be other Gauntlet sessions that will not qualify players for the Blackheart Cup anymore. Epic has yet to reveal the full rules of the Blackheart Cup, but the lack of information regarding scoring and a few other tournament mechanics makes us believe the rules of most recent tournaments will be maintained. It’s unclear if there will be both Blackheart Solo and Duos cups and how the $100,000 prize pool will be distributed across all regions. The schedule of the Blackheart Cup will have all eligible players going for the highest number of points in their sessions on March 23, then the top 3,000 players of this round going forward and fighting for the big prizes in the grand final on March 24. All players must have a minimum account level of 15 instead of 10 this time. Epic is doing these online cups across all regions to prepare its systems for the Fortnite World Cup qualifiers, as the company previously stated. The Blackheart Cup is probably another opportunity for Epic to test its prize payments systems before the World Cup qualifiers start, which will also award prize money. Players should have more information about eligibility for the Blackheart Cup sometime soon.